The Court and the players. 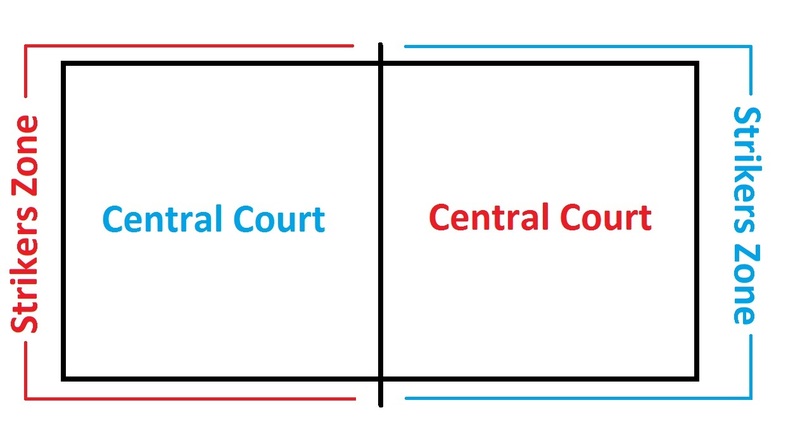 The court consists of a rectangle which is divided into two (2) parts by a central dividing line. Inside this area is called the ‘central court’. 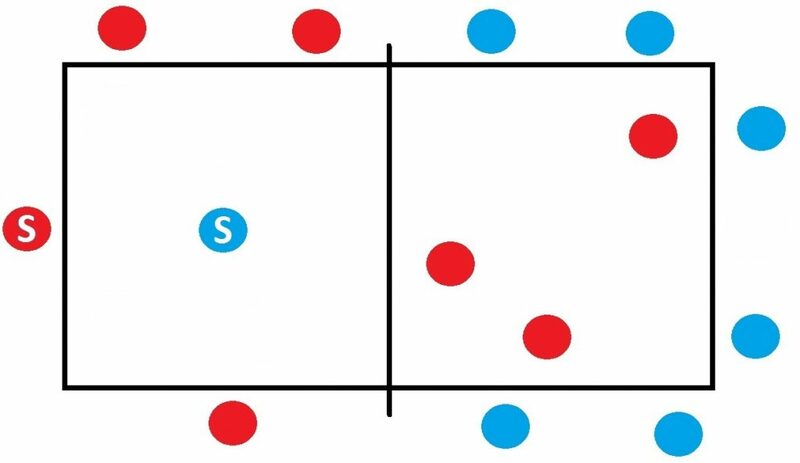 Each team takes place in his own part of the field, the “striker” takes place on the outside court of the opposite team which is also know as the ‘striker zone’. Teams consist of seven (7) players. All players remain inside the central court while the teams ‘striker’ plays outside the opponents team court (striker zone). Players must not leave their designated area unless they are out, in which they join the position of the striker and continue assisting the team. 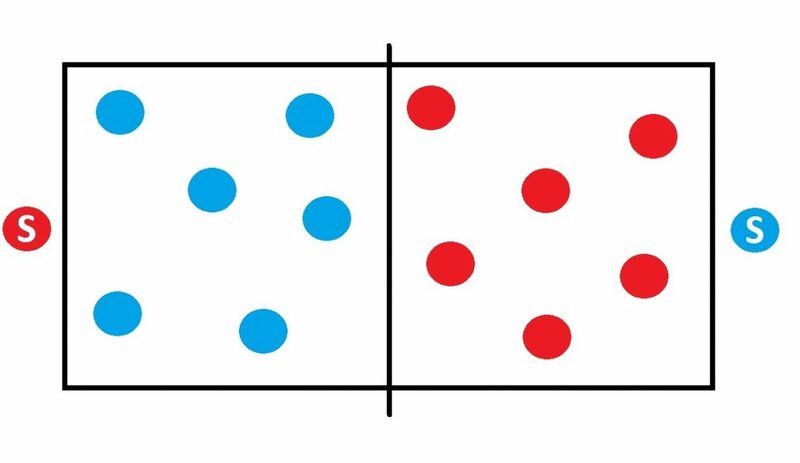 The striker must not enter the court or cross the halfway line to be outside of their teams court. The only time the striker is to enter the court is when all of their team mates have been hit and are out. The striker from each team will paper, sicssor, rock at the commencement of the game to decide who will start with the ball. Once this has completed the game will commence. The players as well as the striker throw the ball at members of the opposing team trying to eliminate these players by hitting them. the player catches the ball. When a player has been hit, they have been eliminated and must move to the outside area of the opponents court. The same rules apply if a player tries to catch the ball but drops it. If a player from the central court area is able to catch a ball on the full, a team member who was originally out is allowed to return to the team central court area. When the last player is eliminated from the court, the Striker goes into the central court. They are granted three lives, which means they are allowed to be hit three (3) times. When team mates from the outer circle hit an opposing player, they can go back into the court, and the striker goes back out. The match is finished when the “striker” is hit the third time, or the time limit has been reached. In the case of time, the team with the striker who has been hit the least wins. Furthermore, in the scenario where the game was pushed to the point that none of the strikers were hit, the team with more players in the central court wins.